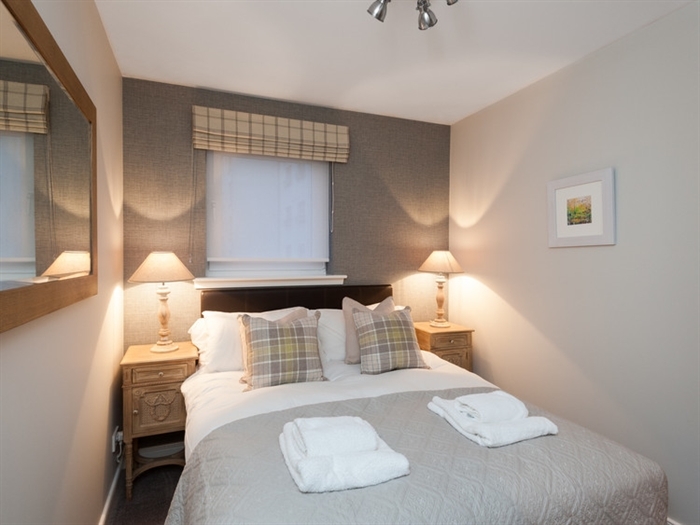 It's the perfect location - in the heart of Edinburgh’s Old Town yet situated in a lovely quiet location, with views of Arthur's Seat, the two bedroom Botantist Apartment is your ideal stylish holiday home-from-home. Built on the site of the 17th Century formal gardens of houses on the Royal Mile, everything that Edinburgh city has to offer is a few minutes walk from here - Old Town, New Town, Princes Street – history, architecture, galleries, shops, restaurants, cafes, theatres and cinemas. You can even take a leisurely (or not so leisurely!) 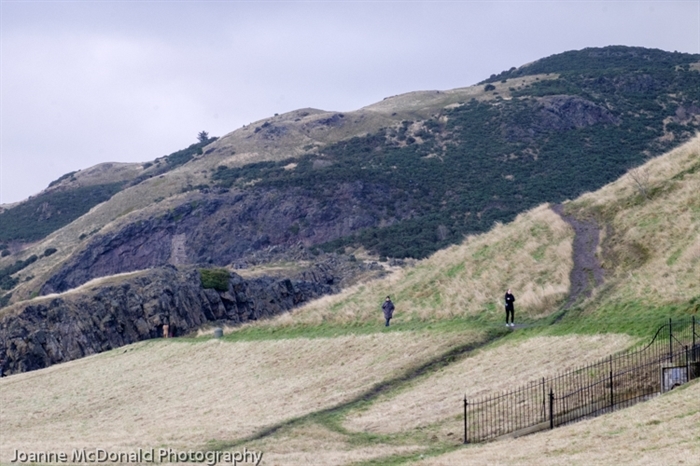 walk nearby in Holyrood Park taking in the breathtaking views of Edinburgh from Arthur's Seat. 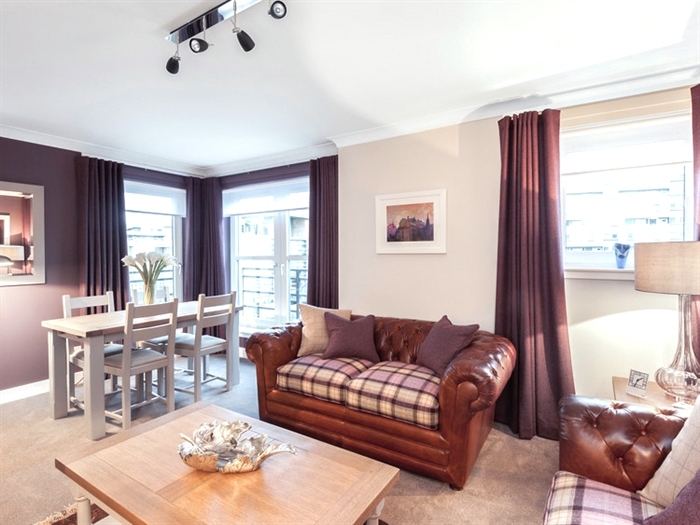 The Botanist Apartment (formerly the Parkgate Residence) is a 2nd floor flat, with lift, forming part of an exclusive luxury built development adjacent to the Scottish Parliament, Holyrood Palace and Dynamic Earth. 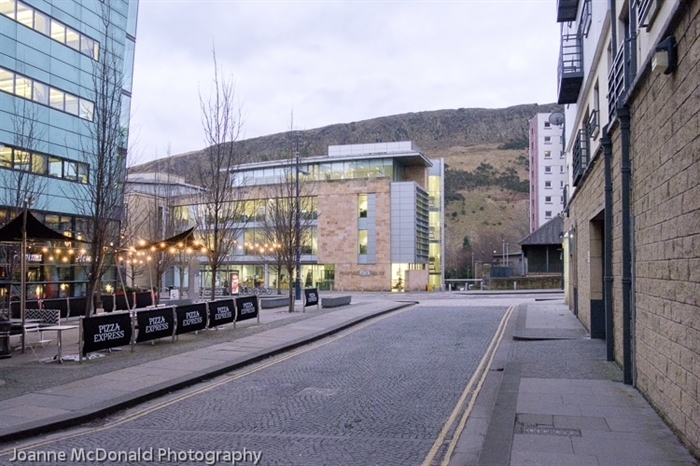 Enjoy the stunning view of Arthur’s Seat and Salisbury Crags as you have breakfast at the solid oak dining table, planning your day in this wonderful city. 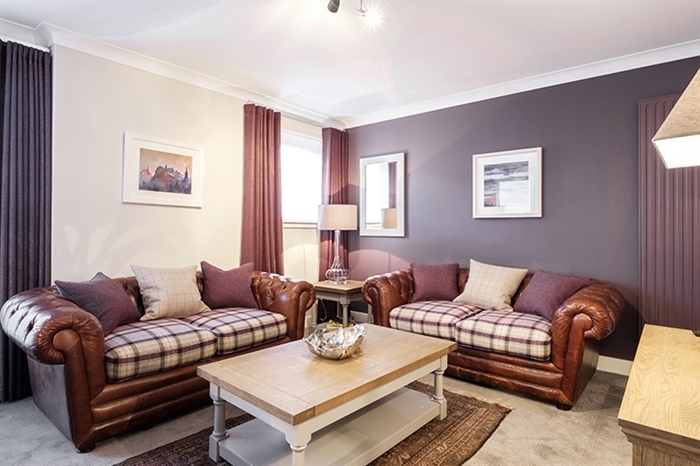 In the spacious living/dining room, relax into the plush leather chesterfield sofas with their stylish pure wool plaid cushions as you settle in to watch some of the classic Scottish movie DVDs that have been selected for you. 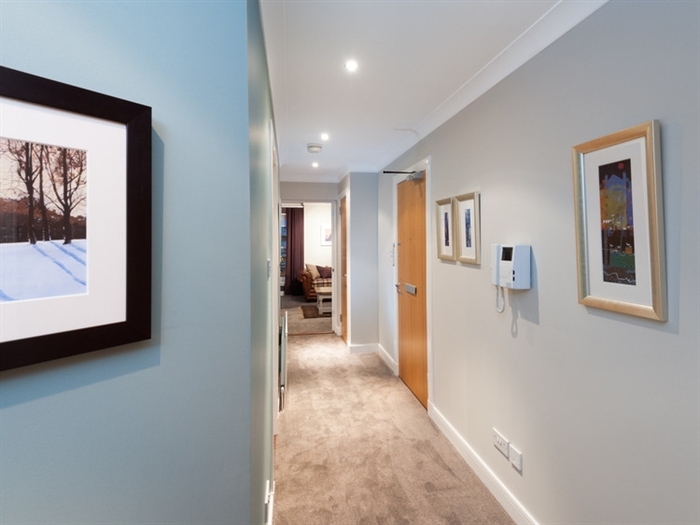 Enjoy the modern Scottish art prints adorning the walls, showing scenes from around Edinburgh. Pure white 200 count Egyptian cotton bed linen and top of the range memory foam with pocket spring mattresses provide the ultimate in comfort for a great night sleep, as you recharge from exploring this iconic city. 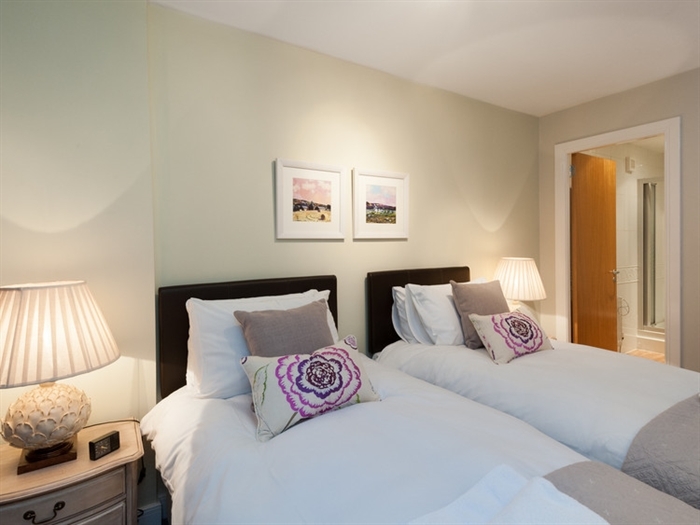 Bedroom 1 has a super king bed, which can also be set up as two singles, and an en-suite shower room with toilet and basin. 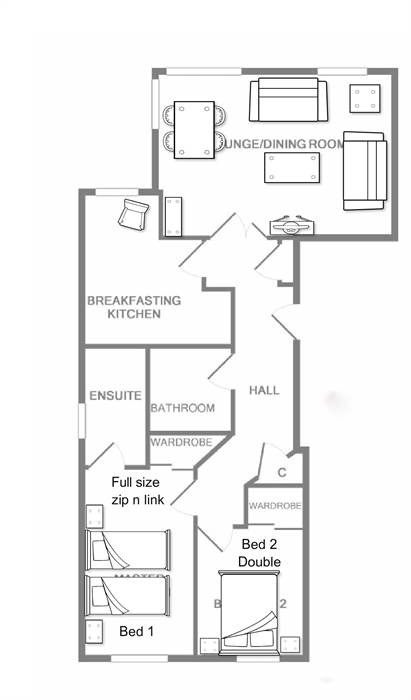 In bedroom 2 you will find a double bed. 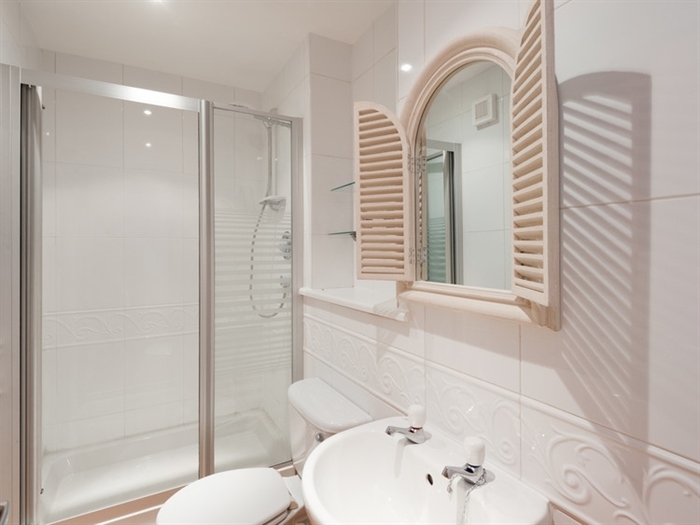 There is also a main bathroom with a bath and shower over, toilet and basin. 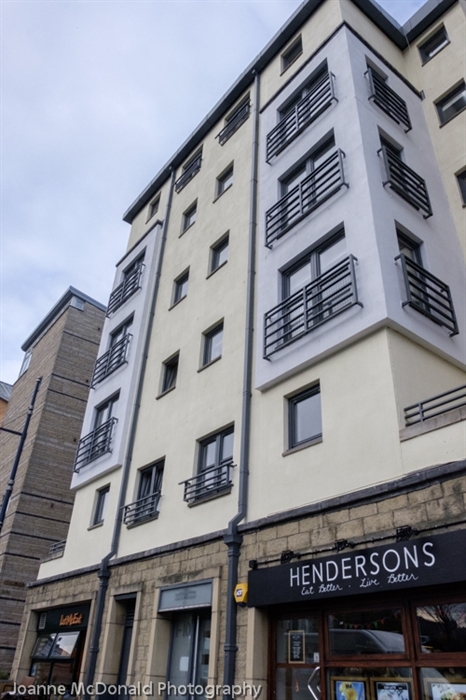 The flat has the convenience of a lift/elevator - very handy if you've tired yourself out with sightseeing (or shopping)! There a secure designated garage parking space, as well as a flat screen TV, NowTV Box, Bose Soundlink speaker and wifi throughout. Tasty eateries and cafes are on your doorstep allowing you to refuel after a busy day or set yourself up for a day of shopping with a wholesome breakfast. There is also a convenient local supermarket in the same block should you wish to relax and cook at home in your fully-equipped kitchen which includes a dishwasher, washing machine and microwave.